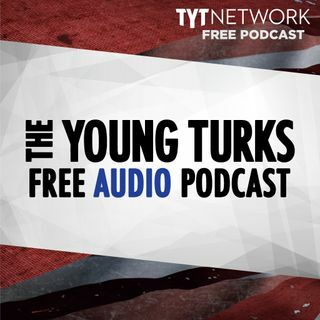 A portion of our Young Turks Main Show from March 19, 2018. For more go to http://www.tytnetwork.com/join. Hour 1: Segment 1 Hillary Trump voter comments. Hillary Clinton in India–Trump voters vs her voters. Durbin–Hillary is wrong on Trump voters, and we Dems acknowledge that. Durbin–Hillary can still speak, but we have new crop of Dems for 2020. Dems pull back hard line immigration demand. Jim Carrey’s Sanders portrait. Cambridge Analytica and Facebook. Cambridge Analytica pt1. Cambridge ... See More Analytica pt2. Gov Bevin trashing teachers as well paid, ignorant, & blind. Hannity on Fox&Friends, pushing morning propaganda against investigators. FLASHBACK Hannity suggesting Trump should fire Mueller multiple times. Lindsey Graham–Trump firing Mueller would be beginning of end of Trump. Rep Charlie Dent–Agree w/Graham, it would end Trump Presidency. Napolitano–Firing of McCabe looks pretty bad, wreckless & vindictive. Rick Tyler–Trump will fire Mueller and GOP will do nothing, Ruhle goes crazy. Philly DA Larry Krasner, dismisses 31 from Philly DA’s Office. Kentucky teacher strike. McCabe, Trump tweet storm, Hannity. Kushners’ cadre startup benefited from misleading rent filings. Conservatives complaining about Jim Carrey.